Video animation is becoming an increasingly popular way of promoting businesses online. A well-made animated video created by leading 3D Animation company in San Francisco like GSW Animation can be much more effective than written texts or pictures since it uses all other media to deliver its message. YouTube gets over 4 billion views a day, so it’s safe to assume people like watching short videos online. A simple film, with a strong script, and well-designed characters, is sure to keep your audience hooked, even if the subject might be a bit too complex for them. Animation can take a subject that might not sound very glamorous at first, and turn it into a spectacle of motion, colors, and sounds. Think of the 2012 Metro PSA that cautioned its viewers to be careful when they got on the train. With a catchy tune, and colorful, sweet characters, the video went way beyond merely raising awareness about the dangers of getting on the subway without being careful. With the help of sound and movement, it’s easier to get your clients to watch a video until the end. While reading a text, they might drift off, or find other things to focus on, but an animation keeps you focused. Seeing how long a video is on the timeline bar also helps your audience stay on track. They know exactly how much time they’re going to spending looking at the video, so they are more likely to watch it in its entirety. The benefits of using videos in education have already been highlighted by numerous studies. The benefits of using videos to convey information are not limited to the classroom. It seems people find it easier to remember new concepts if they are transmitted using both visual and audio ques. Animations can be personalized, to reflect your unique brand. So your clients are sure to remember who you are, and what you offer. Just think of how easy it is to recognize a Red Bull ad. You can immediately identify the style and the characters. Using animation to promote your business can do the same for you. Animation can be as realistic or as whimsical as you want it to be. Your only constraint is your imagination. Furthermore, video animation costs a fraction of the price of CGI. A powerful visual style and a good soundtrack can be enough to make a memorable film. On the other hand, if you’re going for something simpler, like an animation involving kinetic typography, a good voice actor can add a whole new level of engagement to your video. You can even choose how abstract or realistic your animation is going to be. You can go from a story involving several characters, in a clearly defined setting, to words animated to convey the dynamic concepts behind them. The old saying ‘a picture’s worth a thousand words,’ is true, to a certain extent. The amount of time it takes a client to read the description of a product or service is reduced to mere moments if you just show it to them. And it’s not just the products themselves. You can explain complicated assemblage procedures, or share complex instructions in an easy to understand format, by using video animation. If you use just words to describe something, it may be difficult for your audience to visualize what it is you are talking about and products/services might seem more complicated than they are actual. There are a variety of animations you can go for, ranging from simple whiteboard animations to complex 2D or 3D shorts. Choosing the type of animation work you want to be done depends a lot on your needs, budgetary constraints, and the time you have at your disposal. Each type of animation has its own benefits. White board animation, character animation, or moving typography can work very well when you are trying to explain a complicated process to your audience. It’s easy to follow, and it highlights the keywords or key steps that you want your audience to focus on. Animated shorts work better for more complex information, which can be embedded in a story. It involves much more work, and takes longer to make, but is also more appealing, and can have a greater impact on your audience. So when you decide on a specific kind of animation, make sure it fits the message you are trying to send. You can consult with the team in charge of your animation as well. Don’t try to save money by hiring amateur animators, it’s always best if you go for a professional team. Animation involves a lot of work besides the actual animation, like sound editing, storyboarding, and post-production. Ideally, you’ll want to work with a company that offers all these animation services, so you’ll have all the professionals you need in one place. This can save you a lot of money in the long run. There a number of steps involved in developing an animation. Each step must be handled by the appropriate expert. Working with a professional team makes the process much smoother. Animations typically start with the development of a script. Scripts are not just about stories and characters. Even if you choose to go with a whiteboard explainer animation, you still need a scriptwriter to craft the captions and, together with the director, decide how these captions are going to be presented to the viewers. The script then moves to the storyboard phase. Animators make a few sketches representing the key scenes of the animation. These sketches are then brought together in a roughly animated storyboard, called an animatic, so the animators know how these scenes fit the timeline. In the meantime, the team in charge of sound records the dialogue or the soundtrack of the final piece. On the basis of the animatic, the animation team proceeds to draw and animate the different scenes of the short. Having at least a rough sketch of the sound in this phase is crucial, since it allows the animators to time each scene, and if it involves characters who speak, to animate the faces accordingly. Not sure how you can increase your conversions with video animation? I recommend downloading the “How to Implement Explainer Videos” eBook guide from VideoCaddy. Typically, the number of frames per second for an animation is either 12, or 24. Simply put, frames are the still pictures used to add motion to your video. The more frames an animation has, the smoother the movement will be. However, adding more frames doesn’t necessarily make it better. The more frames there are in a second, the slower the movement is going to seem, so if you want your animation to appear more dynamic, it would be better to go for a smaller frame rate. Also, take into consideration how much time you can afford to spend on the project. For a 3 minute short, there are over 4000 drawings, at a frame rate of 24 fps. Before making an animation for your business, you should remember that these animations are likely going to be the image your clients are going to remember when they think your company. An animation is not just cartoons. You have a wide range of styles you can choose from. A simple transition to your company’s name and logo can be enough to send the message, and help your clients remember who you are. But if you want to make sure your brand sticks with them, consider animating your logo as well. Think of Nike’s swoosh. The addition of actual movement to your company’s logo can help your clients understand what your company is all about. When using an animation to promote your business, you need to think of your clients as a targeted audience. They are here, not just to find out about your business and buy your products, but also to be entertained. You have to think about who they are, what they want, and who they identify with. You have to make your services or products become part of the story, while your clients become the main characters. Discuss your target audience with the scriptwriter and the director or lead animator, at the beginning of the project. This will help them structure the narrative, and decide on a visual style that is more likely to appeal to your viewers while staying true to your company’s vision. When in doubt, ask your animation team for advice. They know more about the technical aspects involved in the process and have more experience with this kind of work. They can point you towards the most suitable style of animation, and the most cost efficient ways of producing it. Remember that there are many aspects involved in developing a quality animation. Make sure they understand what your vision is, and give clear feedback every step of the way. They want to offer you a quality product, just as much as you want to offer quality products to your clients. So when giving them indications about the script, or visual style, provide reference material, and be very precise about the details. Every entrepreneur needs to boost their sales, which is why when they prefer for a 3D Animation Company, it would do wonders to accomplish this purpose. A study shows that 3D Animation Services plays a role in boosting sales for the business. While there are countless methods to promote and enhance your profitability, but as the competitors would be doing the same things it would not provide you with that tough competitive benefit. Rather, professional animation company would provide you with that edge and assist you to break away from that clutter. A business which used 3D Animation Service to promote their product/service has seen an amazing improvement in their sales by 40%. 93% of marketers practice video for online marketing, sales, and communication. B2B companies 96% are designed to use video in their content marketing over the coming years. 81% of people highlight their 3D video on their brand website. A great benefit that enables your products to be available all day long. This is particularly beneficial if you sell overseas – time difference is not a dilemma for you anymore. Apart from this, this is simple: all you require to do is build 3D Presentation of your products and services and put it on your website. Next action is for your marketers to do: they know how to grab more viewers to the page using a presentation. And 3D Animation Service will be in charge of transforming them into clients. Practicing 3D imaging is best for the company that needs to show a model of an item such as a building or a car. In fact, the creation of a thing can be best be seen using 3D architecture. This kind of imaging enables a range of tools to be used by the audience. The model can be rotated, or 3D walkthroughs can be given on your website. The idea for that is the high level of visual influence, practically difficult in achieving with the common videos. Extraordinary innovation, high quality of imagery can produce the 3D animation go viral. What’s a reliable method to attract the concentration of the target viewers to the product and services. Apart from these clear benefits, your brand page will get more followers. And the more followers it gets, the higher your website will get ranked. As a result, you are connected to get even more consumers! To start with, well-made guidance and How-Tos let the clients to get introduced with the product. You can display all its helpful features, focus the rival benefit and show how simple it is used. Moreover, they are amazingly effective for those consumers who have already made an investment. Your going an extra mile and offering your clients with all that information will reveal better than thousands of elegant words that you worry about them. As a consequence, they will imagine you and become repeat clients! Interactive 3D Animation Services will make you superior. By giving the target viewers with 3D content, you will grab his attention and carefully engage in communication with the brand. As a consequence, you promote brand loyalty. Moreover, you can provide the customer with a new experience of using 360 videos or provide an opportunity to develop the plot of the video as the story reveals. 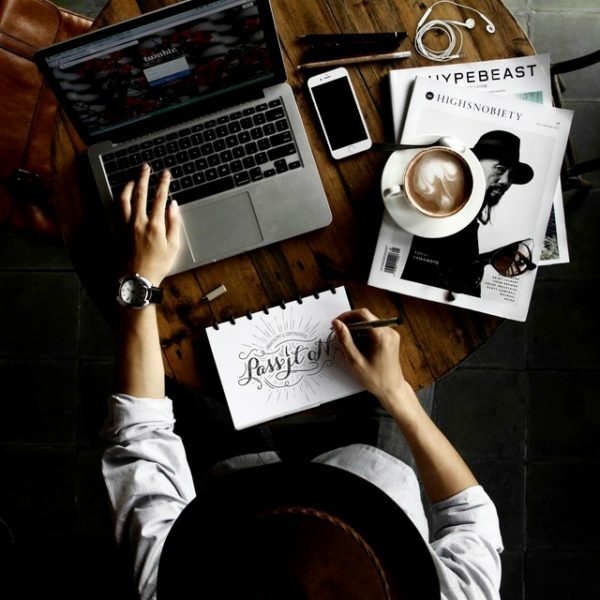 This idea, you drive the consumer to the product, and make his way interesting and great! 3D animation is an excellent idea to take a very complex idea that would be difficult to narrate literally and convert it into a simple to read a 3D image. Utilizing architecture design in 3D and character animation is a concept or complex display that can be described clearly and simply using these visual cues. 3D animation services allows your product to be recognized in ways. It offers information in a concise, interesting way which is simple for your viewers to understand and learn. Making them far more expected to purchase your product. Apart from this what some people may think, 3D animation is really affordable and simple to build. Highly recommend GSW Animation for 3D animation services in San Francisco. The process of 3D modeling is actually a mathematical component one needs to develop in order to represent the surface of the object as a complete image. A model could be created using a computer program or by hand. Models created by hand are not very common nowadays; most designers prefer to work with a computer screen and keyboard to create prototypes. The models generated on a computer screen like house rendering use a geometric equation connecting points or triangles, curves, lines and so on. These geometric equations can be created by hand on paper with the same collection of data points used in the computer rendering. Then they can be scanned into a computer for further manipulation. There are many different computer software programs available for individuals who want to manipulate a photo rendering for more dimensions. 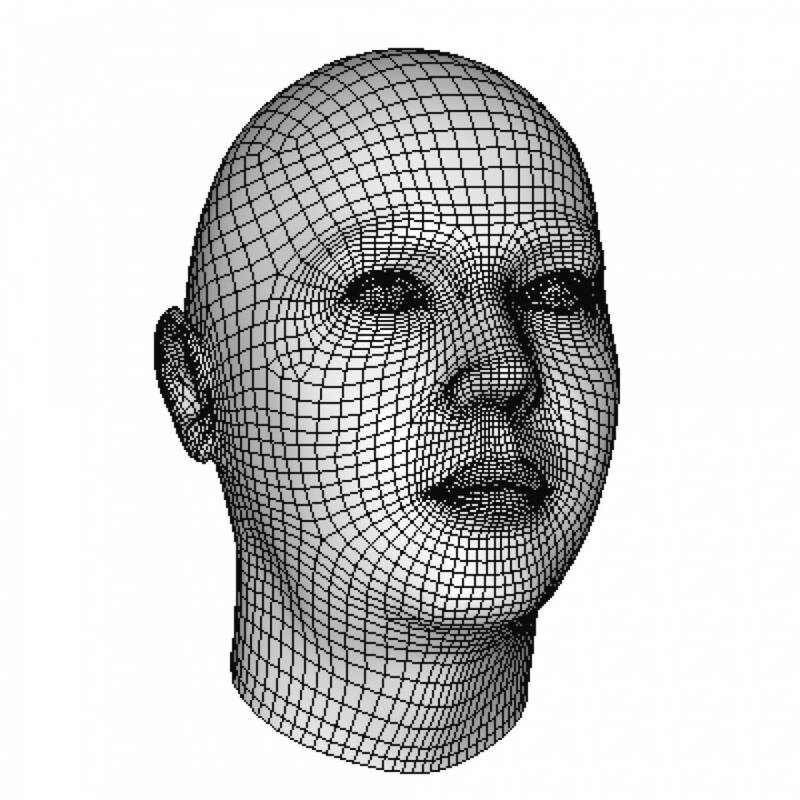 These various programs allow the user to add and subtract depth and do the same for mesh. They can also stretch various aspects of a photo’s components. All of this gives a photo a life-like look. If the metadata is compatible with other files, the person manipulating the photo can import other pieces of data into their photo to create more depth. There are many different techniques someone can integrate into a photo to make it seem real. The person doing the modeling can also map different textures into their photo to give it an even more real feel. There are two types of representations with this type of models, solid and shell/boundary. The solid is like a rock, it will define the volume of the object you want to represent. They are a little more difficult to draw because they are more realistic in nature. This type of model, the solid model is used in engineering and medical simulated drawings to help doctors and city planners understand better what they need to do. The shell/boundary types of models or drawings represent the boundary or surface of the object. This is the type of model or drawing that is used in video games. It is much easier to work with as a model and easier to draw for both beginners and experienced modelers. In computer graphics, boundary representations are the most common because of their appearance. The surface of the item needs to be what is represented most. This is because the exterior of the item you are representing is what is seen, however the interior is what gives the item its depth. All of these needs to come together and that is why you need the complex mathematical equations. To bring everything together, many modelers use meshing. Instead of meshing squares or circles, they tend to mesh together triangles. Meshing together triangles is a popular way to render a scene from the abstract to something life-like for 3D modeling. This meshing of triangles can be done on paper or with a computer program with wonderful, multilevel results. There are several 3D CAD software applications available for high end and used for house rendering, detailed design in the area of engineering and architecture. High powered software comes with a corresponding price tag which can range from hundreds to thousands of dollars. Examples of 3D CAD software are AutoCAD, Solid Works, and Solid Edge. Google SketchUp Make is a free software package which can be upgraded to the pro version (SketchUp Pro) for about $600. The free version is useful for simple 3D design of images, diagrams, and graphics for websites and can be used free of charge for home, personal and educational use. While Google bought the company @Last Software which originally developed Sketchup, the application is currently owned by Trimble Navigation. 3D Modeling: The process of creating a virtual 3 dimensional object within a software package. In the video below, I draw a rocker switch. Design involves drawing primitive 2D shapes initially, and then “pushing” and “pulling” to extrude the shape into a 3D solid. Once the shape is created, it can be exported to a JPG file. Where Can I Download Google SketchUp? The real estate industry has a long history. But never before was it touched so significantly by the field of technology as in the present times. The concept of keeping clients waiting to give them the first look at their desired property is not always welcome. This can make the clients impatient and drive them not to go further to buy the property. A solution to this problem lies in the recent utilization of technology to create virtual reality. That’s what the real estate industry is using 3D rendering for. And with amazing results as well. It has been observed that house rendering helps the real estate industry significantly. People tend to buy those properties more, which they have already seen. However, it is not always possible for the real estate agents to show the properties to their prospective clients. This is because the marketing, which is needed to sell the property, has to be started far ahead. This poses a major challenge for the real estate agents, as it is quite difficult to convince the potential customers to buy a property when they have not even seen it. This is where 3D rendering becomes relevant. It creates a virtual presentation of the upcoming properties even before they have been created. Moreover, with every passing day, technologies are becoming more and more advanced. So, different kinds of 3D renderings are also emerging, which are making it easier for real estate agents to sell their properties. Here’s a quick look at some of the most common forms of 3D rendering, which are used extensively in the real estate industry. All these forms of virtual 3D architectural renditions help the potential buyers to feel interested about a property and go ahead with the decision of purchasing the real estate property. Buying a real estate property means investing a good amount of money. So, would you like to invest in something about which you do not have any idea? Of course not. And this holds true for a large number of customers as well. So, the real estate property dealers have to find a way out to give you the feeling of moving into your desired space even when it is not ready. Besides, the customers need to have a personalized experience as well. And this is what interactive 3D rendering helps them to achieve. The concept of this form of 3D rendering is becoming more and more popular these days. The viewers have the opportunity to rotate the structure and see each and every corner of it. This surely gives an amazing experience and the potential buyers can know about the property in detail before purchasing it. The concept of 3D flythrough takes the 3D interactive experience a step forward. It takes you swiftly through the different corners of the property. The 3D flythrough experience is going to take you around the property in a random manner. You will be able to explore the architecture from different angles. This will surely be an amazing experience, as you will be able to see each and every corner of the virtual property and can even get a bird’s eye view of it. Remember, this might not be possible for you to do when you are walking into the real property once it has been constructed. The style of 3D walkthrough is a bit advanced form of the fly-through experience. It gives a clear indication of how you might feel when you walk into the property that you are planning to purchase. You can see all the corners of the property at eye level and thus, it is very much akin to the experience of walking into the property in reality. You can take different directions and enjoy the walking simulation on the computer screen. Besides, you can even have an idea of the height of the ceiling, the type of floors, and so on when you walk into the property using 3D walkthrough technology. The practice of offering 3D rendering in the real estate industry surely offers one of the most amazing forms of virtual tours through the property. It is turning out to be extremely effective, as it has been observed that these 3D rendering can even influence your decision to buy the property. When we decided to landscape the front of our home, our landscape designer sent us on a tour of the town’s most beautifully landscaped front yards. We loved driving around to different neighborhoods, admiring the flower-filled beds in front of one home and the mature trees towering over another, but it wasn’t until he asked us to revisit some of those homes again, at night, did we see the full picture of exterior accent lighting. Landscapes that looked merely pretty by day seemed to come to life in the evening, glowing with mystery and drama. And that’s when we first discovered the power of landscape lighting. Fortunately, adding warmth and magic to an outdoor area through the use of landscape lighting is easier than ever thanks to the stunning array of lighting available today. Hopefully, these 5 simple steps will show you how easily you can create an inviting outdoor living area through the use of lighting. The first step will be to decide which area of your outdoor space you want to tackle first. 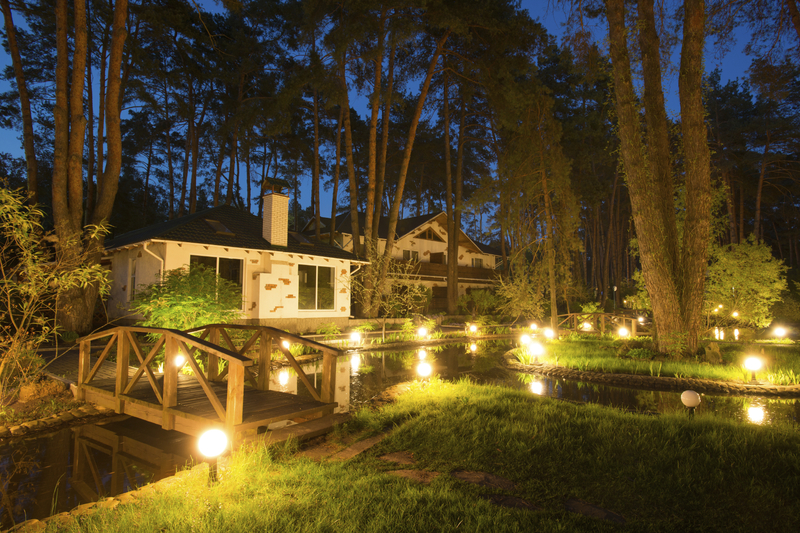 Keep in mind that while landscape lights are beautiful, they are also an important security measure. Which areas would benefit the most from being well-lit and inviting? Once you’ve determined the areas of your home’s exterior that you would like to accentuate and an idea of the types of landscape lighting that will illuminate them, next you will need to determine how you want to showcase these places. Up Lighting – Using either inground lighting, spotlights, or a combination of both, this technique will add drama to any tall trees and dense foliage in your front yard. Moon Lighting – Placing tree lights at least 25 feet tall and angled at 45 degrees provides the illusion of natural light streaming through the branches. Cross Lighting – Use directional accent lights to define surface texture and bring the centerpiece of your landscape lighting design, such as a sculpture or dramatical architectural feature, to life. Mirror Lighting – Directional spot lights used in conjunction with a pool or other reflective surface will create another level to your lighting design. Wall Lighting – Using either wall mounted trimless downlights or directional spot lights, you will create an outline of your landscape and definition to your home’s exterior. The difference between the following is simply the position and angle of the spot light. Grazing – Place a directional light 1 foot away from the wall and point the spotlight straight up to illuminate a v-shape on the wall. Wall Washing – Use multiple spot lights to provide a broad, even illumination across the exterior of your home or large retaining walls. Silhouetting – Add a spot light or in-ground light angled toward the wall behind a bush, shrub, or another item with a unique or interesting shape. Backlighting – Similar to silhouetting, but the spot light is angled towards the landscape feature and away from the wall. Shadowing – Similar to silhouetting, but the spot light is placed in front of the landscape feature. Step Lighting – Provide even lighting and prevent tripping hazards with deck lights mounted on handrails or path lights. Lights may be positions on one side or both depending on the fixture mounting height and width of the set of steps. The design of your home will naturally influence the style, finish and details of the landscape lighting that you choose. Fortunately, there are a wide variety of styles from which to choose, from rustic to modern, vintage to transitional. Finishes are as varied as indoor lighting options, including black, white, brass, copper, or satin nickel. See this wall switch inside a bathroom to give you an idea. Low voltage lighting is a smart choice for enhancing the security of your home, and will last longer than traditional line voltage landscape lighting. New to working with low-voltage landscape lighting? Hinkley Lighting is one of the leading experts on landscape lighting. View this Hinkley video first to help with some tips and tricks of the trade to getting your low voltage project underway.